The first Friday of August is international Beer Day, a day to celebrate beer! 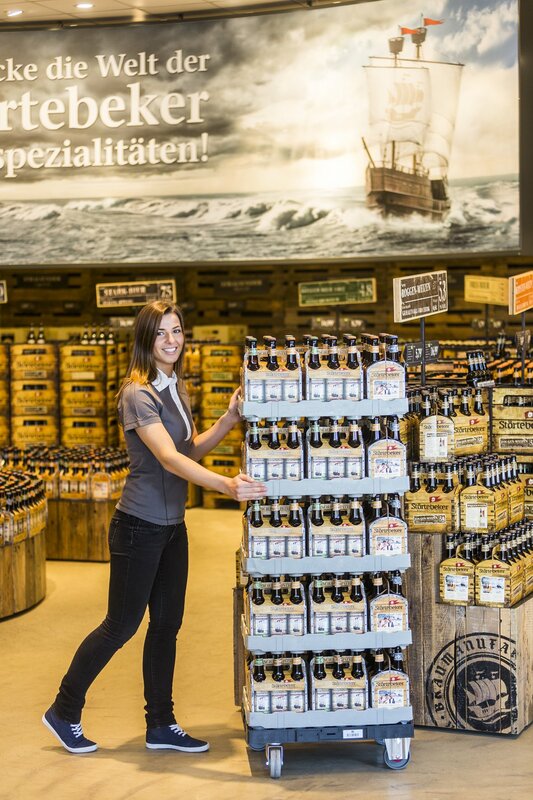 In Austria, CC works closely together with several breweries, to make the supply chain run efficiently. Before CC came into the picture, the Austrian beer was delivered on one way pallets. Those were difficult to handle for the retailers, especially as they also had to take care of disposing. The beer bottles were reusable, but hardly found their way back to the breweries. A work group developed a reusable beer tray, and with help of CC a pool of Euro Dolly’s was set up. This combination of beer tray and dolly made the whole supply chain run more efficiently. The beer can now just be rolled into the shops, which is a lot easier for the shop workers. Also the handing in of empty beer bottles goes smoother, as they can easily be send back together with the dolly’s and beer trays. A win-win situation for the brewery, the beer tray supplier, retailer, and of course all beer lovers! The brewery and CC agree on a certain basic volume of CC Euro Dolly’s. CC delivers the agreed amount to the brewery. For seasonal peaks, extra dolly’s can be ordered on top of that. Full beer bottles are delivered to the retailer in returnable trays on a CC Euro Dolly. Empties bottles are returned in the returnable trays on the CC Euro Dolly to the breweries.